Finn is 24 years old, a successful writer and a junkie. When he overdosed in the toilet of a club, Finn, with the help of his sister and his best friend, decides to start over, for good, and for the fourth time. 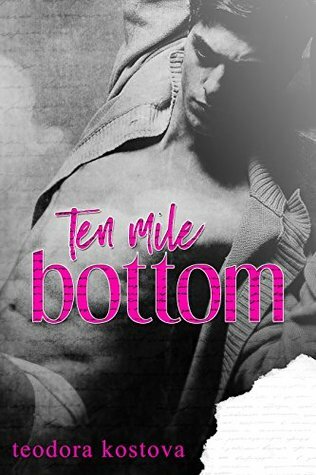 After his rehab, Finn moves to Ten Mile Bottom, a small town near Cambridge, where he meets Ben, a handsome young mechanic. This time, Finn wants to succeed at getting his life back, to be in control again, but nothing is easy when his demons still haunt him. I had a real pleasure with this book. Finn is maybe 24 years old, but he sounds like an old soul. He’s a self-destructive man, addict of hard drugs and alcohol and it took an OD, the heart attack of his best friend and his sister having a miscarriage because of him for Finn to understand that he needs to change. I loved Finn, not at the beginning of the book, I found him too selfish until I understood that he’s an addict, and because of that, he couldn’t understand the pain he inflicted on others. But when he finally understands that he can’t live like that, risking his life but also his best friend’s life, he makes a real change. Finn doesn’t try to find excuses for himself, and he’s lucid about his condition. I really loved him. I found him touchy and funny sometimes. Ben is a young, hot mechanic. He’s 21 years old but very mature, calm and kind. He supports Finn in his rehab, he tries to understand him, and his fears, and because of that, Finn succeed in his rehabilitation. I really loved Ben, how calm, confident and kind he is, and hot, really hot. I really love this book. It was a sweet love story, but not only that, it was also a book about a second chance (or in this case fourth). How sometimes a decision like moving to a small town at the bottom of England can change your life, or how inviting an almost stranger to dinner can be the beginning of the most beautiful story of your life. I liked it, I like this kind of book, when the Mc has to start over from scratch. It was my first time with Teodora Kostova. I never read her before, and it was a good surprise. I loved her writing, simple, fluid and dynamic. I loved how she built her plot around Finn and the aftermath of his OD. It was an exceptional book that I read easily. I was hooked into the story and was surprised when I finished it. I’ll definitely read more books from her. It’s 4 OptimuMMs for me.